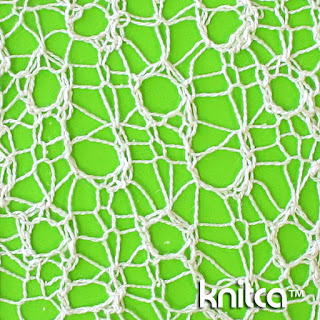 The moment I saw this stitch in one of old knitting books I visualized it in Fine Silk. I started swatching as soon as I got to the ball of Fine Silk I have in my stash. 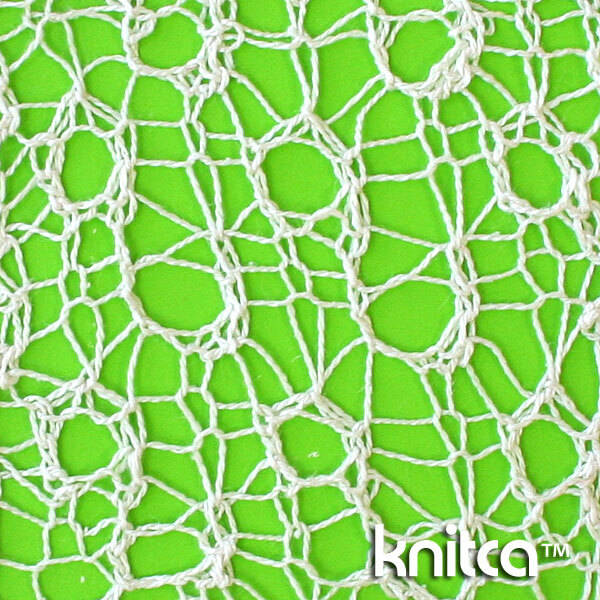 The swatch turned out so delicate, almost like a spider web. With just 6 stitches by 8 rows repeat the pattern is fairly easy to work with. There are no purl stitches and it's absolutely reversible. Cast on a multiple of 6 stitches. Add 2 selvage stitches. Row 1 (right side): *k1, yo, SSK, k1, k2tog, yo*, repeat from * to * to end. Row 2 (wrong side): *yo, double vertical decrease, yo, SSK, yo, k1*, repeat from * to * to end. Row 3 (right side): *k1, yo, SSK, k1, k2tog, yo*, repeat from * to * to end. Row 4 (wrong side): *k1, yo, double vertical decrease, yo, k2*, repeat from * to * to end. Row 5 (right side): *k1, k2tog, yo, k1, yo, SSK*, repeat from * to * to end. Row 6 (wrong side): *SSK, yo, k1, yo, double vertical decrease, yo*, repeat from * to * to end. Row 7 (right side): *k1, k2tog, yo, k1, yo, SSK*, repeat from * to * to end. Row 8 (wrong side): *yo, k3, yo, double vertical decrease*, repeat from * to * to end. Repeat rows 1-8 as necessary for completing your project. You can also work according to the chart. Pattern repeat is marked by red frame.